1. Please tell our readers a little about yourself. Since 2011, I have been a full time children's book author. Prior to 2011, I was a Registered Respiratory Therapist. During my career, I had the privilege of being on staff at the New England Sinai Hospital; Tufts Medical Center, Boston Children's Hospital and the Spaulding Rehab Hospital. I presently live in a retirement community in Carver, MA. I love to travel and have been to Egypt, Holland, France, Germany, the Bahamas and Mexico. Dr. Khalid Saad discovers a hidden chamber in the right paw of the Great Sphinx. He invites his life-long friend Dr. Cliff Post to join him in an expedition to excavate the chamber. Cliff eagerly accepts. Dr. Hosnee Sadat opposes the inclusion of Americans on any archaeological expedition. He plans to open the chamber himself. Finally, Drs. Saad, Sadat and Post open the chamber. Inside they discover a supercomputer composed 0f 13 crystal skulls that were left there by ancient aliens. After the skulls are discovered Dr. Post and Dr. Saad are spied on, followed and kidnapped. Will they survive? Will the supercomputer be discovered? 3. What was your inspiration in writing The Hidden Chamber in the Great Sphinx? My nephew was my inspiration. When he was a little boy, my nephew was a reluctant reader. I was worried that his unwillingness to read would adversely affect his school performance. I began to write stories for him. I discovered that mystery/adventure stories would entice him to read. My book is a mystery/adventure in which I wove an educational tale about ancient Egypt. 4. Tell us about your book cover design and how the book came to be titled. When I was in Egypt, I took many pictures. My favorite was a picture of the Great Sphinx with the Great Pyramid in the back. My pictures were lost so I used Thinkstock to find a picture that was similar to my favorite photograph. I chose the title after the book was written; the title sums up what the book is about. 5. Give us an insight into your main character. Dr. Cliff Post is a college professor who goes on archaeological expeditions when he is on a Leave of Absence from Lodge University. He is honest, highly intelligent and a true friend. He is very protective of women and the children in his life. 6. What is the best advice you've received as an author? Write every day. Take courses and attend seminars to improve you writing. My advice to aspiring authors is never give up. 7. What are your interests outside of writing? Do any of these activities find their way into your books? I love to travel, I love to read and I love to learn. I take courses every chance I get. My love of travel and knowledge of foreign locations become the setting of my books. I'm already writing another book. The Hidden Chamber in the Great Sphinx is the first book in a series featuring the tales of American archeologist, Dr. Cliff Post. Follow him in later books as he visits underwater pyramids and goes to Jerusalem. 9. 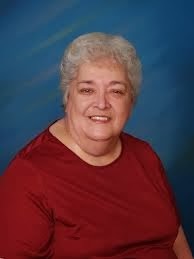 Which author would you say your writing most resembles? I am a great admirer of Rick Riordan. I hope to write as well as he does one day. 10. Where can we buy the book? The rest of the school year crept by for Cliff. He hadn't realized how much he was looking forward to his upcoming sabbatical until he got back from Cairo and went back to work. Talking about Egypt and being in Egypt were a far cry from one another, and the short time he'd spent there made him want to be back immediately. "The Giza plateau is a mile square and was leveled by human hands. The plateau is 130 feet above the Nile Valley. It is only half a degree off from being perfectly level. Any questions so far?" Cliff asked his students as he paused in his lecture to make sure he wasn't losing them. A student raised his arm, and Cliff pointed to him. "Dr. Post, what exactly is a sphinx? I've always thought it was, like, a cat," the young lady wanted to know. Some of her classmates giggled. "Settle down, guys. That's a good question, too. Does anyone know the answer to Stephanie's question?" Cliff looked pointedly at some of the students who'd giggled when Stephanie asked her question. "You, there. Thomas. You seemed to be very amused by Stephanie's question. Should we take it that you know the answer?" "Well, isn't it, like, I mean, doesn't it have the body of a lion and the head of a man? I think it's something like that," Thomas said and the smile was gone from his face now that he found himself in the hot seat. "Correct," Cliff told Thomas. "The word sphinx comes from an Egyptian phrase which means 'living image' or statue. It is a sculpture carved out of a sandstone knoll. The Great Sphinx is 240 feet long, just a little under 14 feet wide and stands 66 feet high. It wears a Pharaoh's headdress, which is denoted by the cobra on the forehead. "The Sphinx's nose was shot off with a cannon by Napoleon's troops and is now housed in the British Museum. At one time, the Great Sphinx was painted dark red. The eyes were painted black, and the headdress was painted white. The Sphinx is situated so that it faces the rising sun on June 21st, the summer solstice. "The face of the Great Sphinx was analyzed and compared to the face on the Louvre sphinx of pharaoh Amenenhet II. The similarities were said to be profound. Both faces are full and broad and slope downward over the cheekbones. Subsequently, the face on the Great Sphinx is believed to be the likeness of Amenenhet II. Are there any questions?" Cliff looked around the room and realized that many of the students weren't paying attention to his lecture. Some were doodling and a few in the back of the room had their heads down on their desks. He was grateful that at least Stephanie, Thomas and Peter seemed to be interested in what he was talking about, and he smiled at each of them in turn. Cliff continued his lecture. "There is a theory that the Great Sphinx was a statue of the Egyptian God Anubis in the Old Kingdom. Anubis was the god of the dead and mummification. He was placed on the Giza plateau to guard the Giza necropolis. The proponents of this theory believe that the body of the Great Sphinx is the body of a dog and not the body of a lion. "There is evidence that the Sphinx was recarved in the Middle Kingdom by the pharaoh Amenenhet II in his own image. 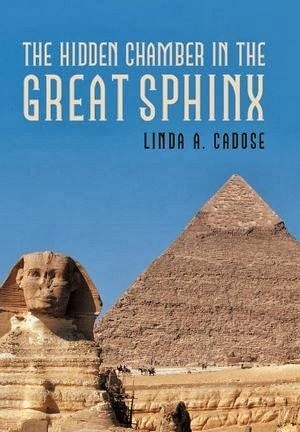 The head of the Sphinx is disproportionate to the body of the Sphinx. It is believed that the head of the Great Sphinx was much larger than it is now. Behind the Great Sphinx lies the Great Pyramid. Yes, Stephanie," Cliff said when he saw the young lady's arm in the air. "It is postulated that four mud ramps were erected to build the pyramid, and it took 2,500 men to construct it. The king's sarcophagus is one inch wider than the Ascending Corridor which leads to the King's Chamber toward the center of the pyramid. The King's Chamber, which is 19'1" high, 34'4" long and 17'2" wide, was to be the interment location of the pharaoh. It, however, is empty except for a large sarcophagus of rose granite. Archeologists believe that since the sarcophagus is wider than the chamber it must have been built in. Who can tell me how many sides there are to the Great Pyramid?" "Ah, one would think that, wouldn't they, Peter? However, the Great Pyramid's core is concave which makes the Great Pyramid an eight-sided figure. This concavity divides each of the four faces of the pyramid in half. This feature can only be seen from the air, and the first person to record seeing it was a British Air Force pilot by the name of P. Groves, who flew over the Great Pyramid in 1940. Yes, Thomas?" Cliff paused to acknowledge Thomas who had raised his arm into the air. "You're correct, Thomas. It wasn't for the burial of the queen. The name is somewhat misleading. The Queen's Chamber in the Great Pyramid was built as an alternative resting place for the pharaoh in the event that the King's Chamber was not completed at the time of the pharaoh's death. If the King's Chamber was completed on time, then the Queen's Chamber would be used to house a statue of the pharaoh's ka. Does anyone know what that is? Yes, Jacob?" Cliff pointed to another student who had finally decided to start paying attention. "That is correct, Jacob. After death, the pharaoh's khat (corpse) was mummified. The ka or spiritual double can be thought of as the personality or life force of the pharaoh. The ba was another part of the total person. The khaibut was the pharaoh's shadow, and it was associated with the ba. The ren was a person's name. You should be writing these terms down, class. It's possible you may see them on the final exam." Cliff paused as there was pronounced movement among the students as they took out paper and began to write. Cliff chuckled inwardly. He knew the mention of the final exam would make his lecture more interesting to his students. Before continuing, Cliff took a few moments to repeat the information he'd just shared with his class, so the stragglers could write down all the terms. Once he was satisfied that they'd all had a chance to catch up, Cliff continued his lecture. "Before we run out of time today, let me quickly talk about the other pyramids. Again, you need to be writing down the terms I mention, because you'll probably see them on the final examination. Now then... The Second Pyramid was built for the Pharaoh Khephren (Khafre) and is 446 feet tall. It is made of massive limestone blocks faced inside and out with slabs of red granite. It is easily identifiable by its layers of casing stones. The Second Pyramid measures 78 million cubic feet. "The Third Pyramid of Giza was built for the Pharaoh Mykerinus (Menkaure). At 215 feet tall, it is much smaller than the other two pyramids. The first 15 meters of this pyramid are pink granite, and the rest is limestone. Menkaure's sarcophagus was made of basalt and was lost at sea while being transported to the British museum. "The Pharaoh Menkaure was a much more beneficent ruler than his two predecessors, Kheops and Khafre. Menkaure was known as a good king with a mild mannered disposition. Kheops and Khafre were resented by their subjects, because they enslaved their citizens and required them to labor at massive building projects. The three pyramids form a Pytharean triangle and are aligned with the three stars in Orion's belt. Moreover, the three pyramids and the Great Sphinx are actually parts of a whole which are connected by interlocking golden angles. These golden angles measure 26 degrees, 33minutes and 54 seconds. The golden angle is found in all four corners of the Great Pyramid, all four corners of Khephren pyramid and in two corners of the Mykerinus pyramid," Cliff said as he paused and looked at the clock. He was out of time. Yes, he was looking forward to his sabbatical, and the end of school year couldn't come quick enough.